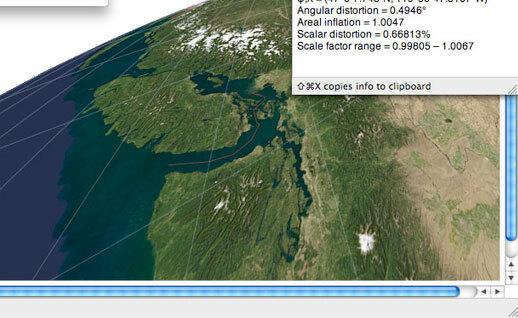 These are a (very) few of the things you can do with Geocart, right out of the box. For information about Geocart, visit the Geocart information page or the FAQs. 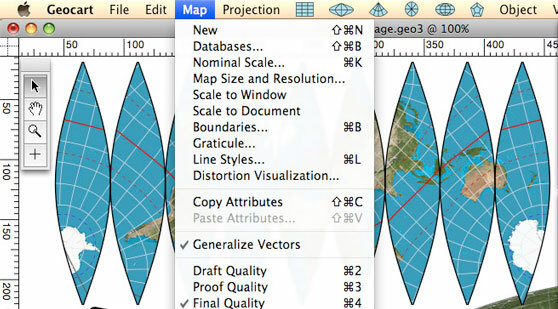 For a Mac or Windows demo version of Geocart, visit the Downloads page. To order Geocart, visit the Order page. For mapping services, visit the Services page. For help, visit the Support page. 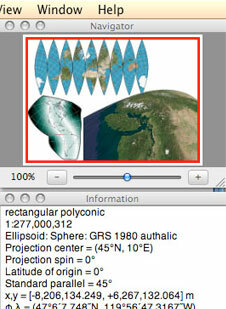 For a digest of map projections you can use in Geocart, see the Projections list. 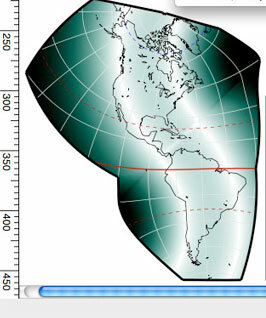 To learn about map projections, refer to the Projection Essentials tutorial.